Wow! California Mixed Martial Arts fighter Jarrod Wyatt is accused of cutting out the heart out of his training partner and friend Taylor Powell. The cagefighter also allegedly cut out Powell’s tongue, “hacked off most of his face,” and left various other body parts (including an eyeball) strewn around the murder scene. Wyatt apparently thought Powell was possessed by the devil after ingesting hallucinogenic mushroom tea. When police arrived at the scene, Wyatt was standing over Powell’s body covered “from head to toe” in blood. 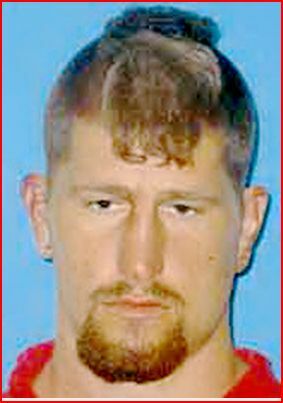 Wyatt reportedly told police, “I killed him.” Wyatt then asked the police if God was coming to save him. The Los Angeles Angels lost their top hitter Saturday to one of the most bizarre injuries in baseball history. Kendry Morales had just hit a game-winning grand slam giving the Angels a 5-1 victory over the Seattle Mariners. As Morales crossed the plate, he was mobbed by teammates in celebration. Unfortunately, sometime during that celebration Morales’ teammates became a little too exuberant. Somehow while he was on the bottom of the celebration pile, Morales ended up breaking his leg. He is out indefinitely. It seemingly took forever, but bitter rivals Rashad Evans and Rampage Jackson finally met in The Octagon Saturday night in Las Vegas. At least for one night, Evans was the better man. He scored a unanimous decision 30-27, 29-28, 30-27. Jackson did mount a third round flurry knocking Evans to the mat. Also on the UFC 114 card, Antonio Rogerio Nogueira and Michael Bisping won while top prospect Todd Duffee suffered a setback when he was knocked out by Chicago cop Michael Russow. UFC announcer Joe Rogan called that knockout “the most dramatic one-punch comeback” he’d seen in ten years. “The Ultimate Fighter” Season 8 winner Efrain Escudero also won and John Hathaway defeated Diego Sanchez. The FBI sent 15 armed agents to kick down the door of Indianapolis Colts wide receiver Reggie Wayne’s alleged mistress. 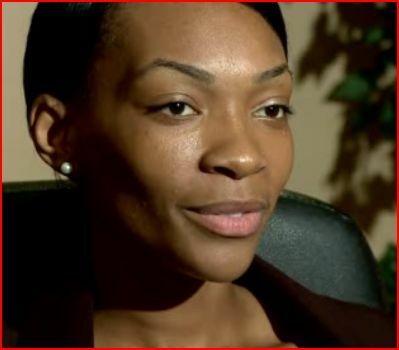 Wayne says Natashia McKenzie stole his debit card and ran up over $100,000 in charges on it. McKenzie says she was having an affair with Wayne and had his permission to use the card. Basketball star Dwyane Wade has been the beneficiary of two huge financial windfalls this offseason. 1. He’s a free agent in the most lucrative year of free agency in NBA history. 2. His soon-to-be ex-wife is a moron who has mounted the worst legal strategy in the history of American celebrity divorces. 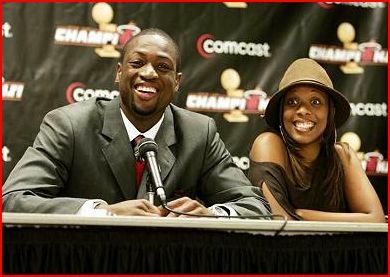 Siovaughn Wade this week fired the NINTH lawyer in her divorce case against her Miami Heat star husband. Her behavior during the divorce proceedings has been so erratic that a Cook County judge didn’t completely discount the possibility of Siovaughn Wade having to undergo a psychiatric exam. 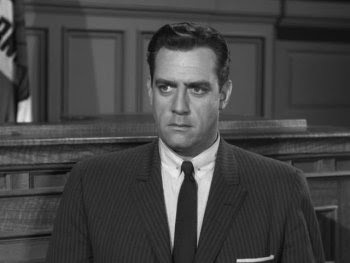 You know things aren’t going your way when a judge entertains the possibility of a psychiatric exam. In a divorce case. Even TMZ has mocked Siovaughn Wade’s legal strategy. Twelve years after the Chicago Bulls kicked Michael Jordan, Scottie Pippen and Phil Jackson to the curb, the club is finally paying the price for their douchebaggery. It has been reported that current star NBA free agents LeBron James, Dwyane Wade and Joe Johnson, all represented by the same sports agency, were willing to work in concert to determine their new teams. Apparently, Chicago won’t be a destination for any of the superstar trio of free agents. At least according to Wade. Wade is a Chicago native who played his college basketball at nearby Marquette. He was a 16-year-old high school student when Bulls owner Jerry Reinsdorf and GM Jerry Krause unceremoniously dumped Jordan, Pippen and Jackson in 1998 following a sixth NBA championship. Chicago had just pulled off another three-peat when Krause proclaimed, “Individuals don’t win championships. Organizations do.” Wrong! At least if the individualis Michael Jordan. 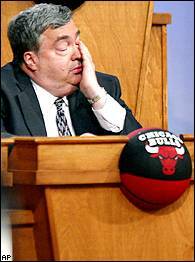 The Bulls have been crap ever since. Wade blasted the Bulls earlier this week, accusing them of disloyalty. The Seattle Seahawks waived running back LenDale White Friday, just five weeks after acquiring him from the Tennessee Titans. White had lost 45 pounds since last season via the No Tequila Diet. However, several news sources are reporting that White recently flunked an NFL drug test. White’s work ethic with the Seahawks was also in question. Troubled actress Lindsay Lohan has been ordered by a California judge to wear a SCRAM bracelet after missing a court appearance to attend the Cannes Film Festival where she claims to have lost her passport. The SCRAM monitors alcohol use. UFC 114 takes place in Las Vegas this weekend. 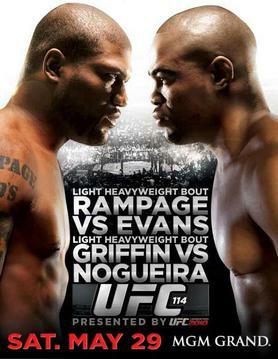 The top of the card features a bout between Rashad Evans and Rampage Jackson. The winner of that fight will meet UFC Light Heavyweight Champion Shogun Rua for the title. 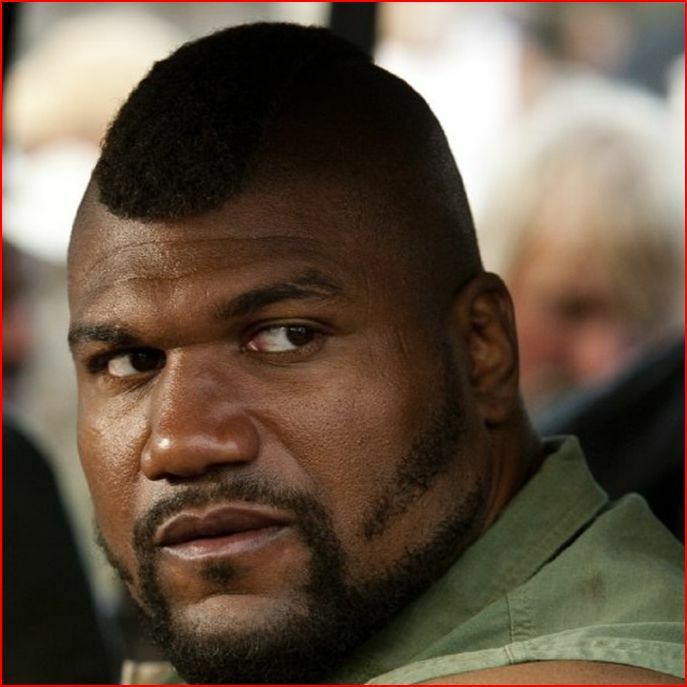 There had been plans for Evans and Jackson to fight earlier but Jackson was busy filming the movie “The A-Team.”British fighter Michael Bisping, Antonio Rogerio Nogueira and ex-reality tv star of “The Ultimate Fighter” Diego Sanchez are also on the card. Fan-favorite Forrest Griffin was originally supposed to be on the UFC 114 card, fighting Nogueira, but had to withdraw due to a shoulder injury. Coleman suffered a brain hemorrhage after a fall at home. 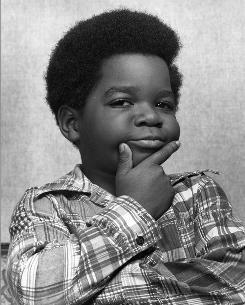 You are currently browsing the The Sports Pig's Blog blog archives for May, 2010.